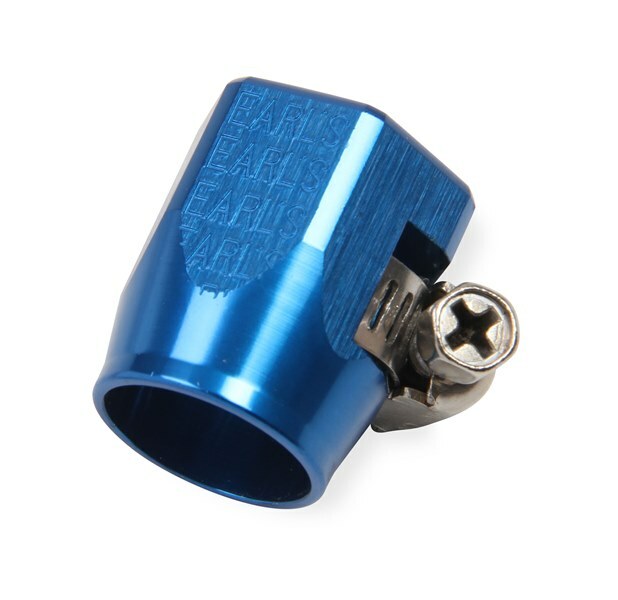 Aluminum anodized hose clamp cover with worm gear type clamp. Its appearance dresses up any installation. Great for hoses that use no hose ends. 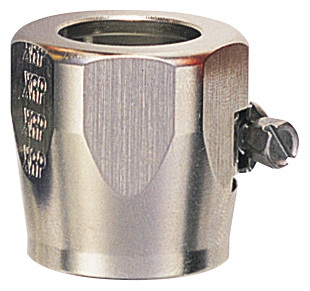 900504ERL -4 1/2 -4 Econ-O-Fit, 1/2" ID. Hex body. Fit Perform-O-Flex & Auto-Flex Hose size 4 or 5. 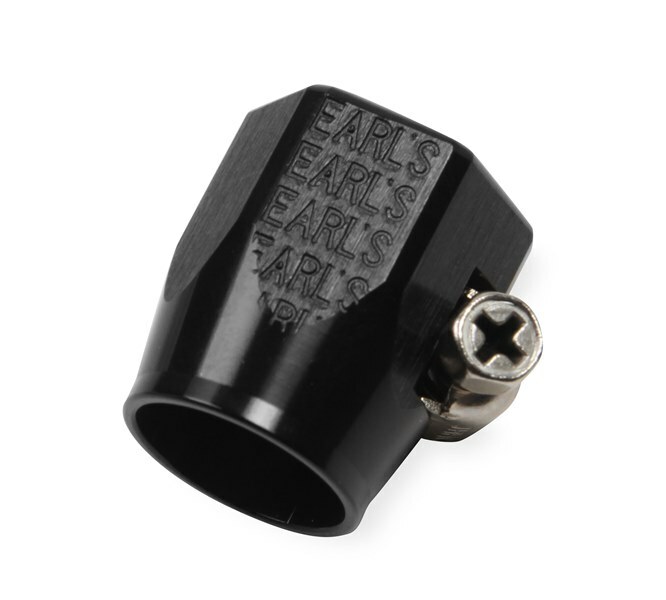 900204ERL -4 1/2 -4 Econ-O-Fit, 1/2" ID. Hex body. Fit Perform-O-Flex & Auto-Flex Hose size 4 or 5. 550304 -4 1/2 Hose Finisher with 1/2" ID. Hex body. Super Nickel Plated. 550306 -6 5/8 Hose Finisher with 5/8" ID. Hex body. Super Nickel Plated. 550308 -8 11/16 Hose Finisher with 11/16" ID. Hex body. Super Nickel Plated. 550310 -10 7/8 Hose Finisher with 7/8" ID. Hex body. Super Nickel Plated. 550312 -12 1 Hose Finisher with 1" ID. Hex body. Super Nickel Plated. 550314 -14 1-1/8 Hose Finisher with 1-1/8" ID. Hex body. Super Nickel Plated. 550316 -16 1-3/16 Hose Finisher with 1-3/16". Hex body. Super Nickel Plated.